Since I am back from having a tooth pulled, a second column on dentistry seems in order. My last column noted a terrific story by NPR reporter Sarah Varney about how hundreds of thousands of poor and disabled Californians have lost dental coverage through California Medicaid. Tens of thousands of these men and women have intellectual disabilities. Dentistry is a sore spot in our family. Finding a dentist willing and able to treat an intellectually disabled man for the pittance paid by Medicaid hasn't been easy. We've gotten some very shoddy care before finding the good dentist we now use. Many intellectually-disabled adults have crummy teeth. It's a serious problem. This is the kind of practical challenge that people with disabilities, and their caregivers, face every day. This is also the kind of problem that public policies could address more effectively and more humanely than they currently do. Unfortunately, this kind of nuts-and-bolts problem elicits a collective yawn from many people who seem more interested in jousting about the R-word than they are interested in getting down to the details in making sure that people receive proper care. It's been weeks now since Governor Sarah Palin publicly scolded Rahm Emanuel for his use of the R-word in a private briefing. Emanuel rightly apologize for his remarks. His blustering profanity shtick is pretty juvenile. People with intellectual disabilities are rightly offended by the R-word. It's not a complicated issue. Palin also had a point in criticizing the crude television show Family Guy. It seems a bit rich for Governor Palin to demand apologies these days, given her transparent partisan hypocrisy in excusing Rush Limbaugh's far more offensive comments made over the airways to millions of listeners. The juxtaposition of this latest R-word controversy with her silence regarding deep cuts in disability services underscore why I am so appalled by Palin's political posturing in the area of intellectual disability. Many liberals (and others) express dismay about the political uses Governor Palin is making of her son Trig. I can't get all high and mighty about a candidate who deploys her child as a stage extra in her own political drama. That's how they do. The problem is Palin's superficial and toxic script itself. Unlike scores of other liberal or conservative politicians, Palin does conspicuously little of substance to help the community of caregivers she purports to represent. As Dana Goldstein notes in a great column in the Daily Beast, Palin's desire to be a show horse while failing to do her homework on important issues has not endeared her to the disability community. Many parents of intellectually disabled children regard her with genuine affection and hope. Governor Palin commands remarkable access to the nation's leading medical, education, and policy experts in intellectual disability. She has a remarkable platform to explain many disability issues to the American public. How has she used this platform? She gave one policy speech in the 2008 campaign to check that box. To my knowledge, she has done virtually nothing of substance since then. Instead, she left her day job—in which she really might have done something to help thousands of Alaska families less blessed than her own—to work the mashed potato circuit hawking books and performing as a television commentator. It's a sign of progress that people no longer use the R-word. I'm happy that Governor Palin is furthering this trend. Yet the R-word is not the only or the most important issue in-play. Many intellectually disabled adults have no surviving parents or connected family members. Where I live, many have only the $50 they are allowed to keep each month from their Social Security or SSI and food stamp benefits once their basic group home expenses have been met. That $50 needs to cover every new pair of socks and underwear, the occasional trip to McDonald's or a movie. That's it. Men and women in this predicament don't have the money California now requires for routine teeth cleanings, let alone the $600 apparently required for a discount root canal or for costly dentures. I'm more concerned about these matters than I am about a crude comment by Rahm Emanuel or by some dumb TV show. I'm more concerned about the poor conditions in many state institutions and group homes across the nation. An estimated 700,000 intellectually disabled adults live with caregivers over the age of 60, often an elderly parent. How can we help these families? 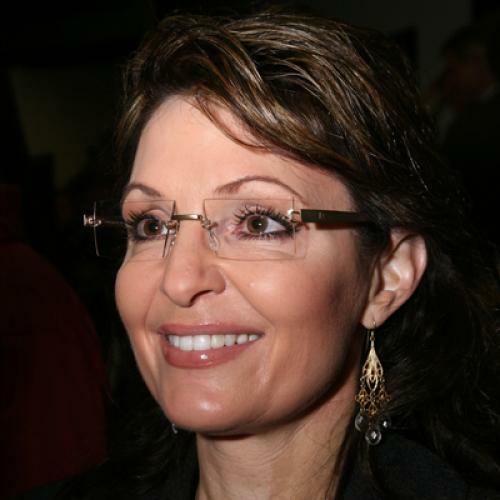 Governor Palin often implies that big-city liberals are not real Americans in the way that she is. Before pursuing that familiar culture war theme, she might familiarize herself with World War II conscientious objectors assigned to state homes for the disabled. These men were among the first to sound the alarm about deplorable conditions in these places. She might familiarize herself with the activist housewives who helped found the National Association for Retarded Children. She might even examine the contribution of liberal community activists and ACLU lawyers who filed landmark class action lawsuits to improve conditions at state mental hospitals and to pry open the doors of local schools for students living with physical and mental disabilities. She might familiarize herself with Ted Kennedy--who saw no contradiction between his lifelong advocacy for the disabled and his pro-choice views. Most of all, she might get serious about matters that affect million of disabled people and their families. Many have complex problems. Others face simpler challenges, such as rotting teeth. Until Governor Palin accumulates a real track record in addressing such matters, she would have limited standing to admonish other public figures. Imagine for a moment how more substantial political figures have responded to their own personal predicaments. Consider Bob Dole and Lowell Weicker's work on disability. For that matter, consider Mitt Romney's efforts on health care and Orrin Hatch's work on state children's health insurance.